Mynosys Cellular Devices announced that it has received 510(k) clearance from the FDA for the Zepto Capsulotomy System. Zepto uses a proprietary combination of calibrated suction and a 4-millisecond multipulse energy algorithm to produce high quality capsulotomies. "This is a significant accomplishment for all the employees of the company that have been really striving to quickly get this to the FDA, and we were gratified by the quick response that the FDA gave us," John Hendrick, CEO of Mynosys, said in an interview with Eyewiretoday.com. "We expect that we will be focusing on, firstly, the comorbidity market, and secondly, the premium lens arena, and then finally the general population as we feel strongly that this particular product will end up being the gold standard of the industry." Zepto can be used through a 2.2-mm incision and integrates seamlessly into the standard cataract surgery routine to enhance surgical efficiency and patient flow. Electron microscopic and biomechanical peer-reviewed analysis showed the Zepto capsulotomy edge to be significantly stronger than that obtained by manual capsulorhexis or femtosecond laser. 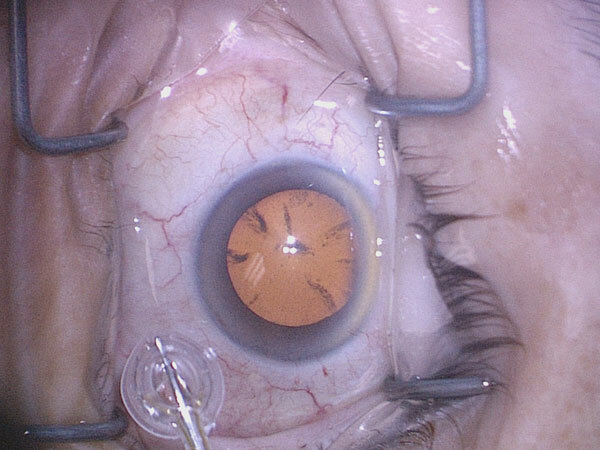 Due to its unique design, Zepto can be used not only in simple cases of cataract surgery but also in challenging cases with small pupils, zonulopathies, corneal opacities, and in intumescent cataracts. Furthermore, by simply using a standard surgical microscope and instructions for patient fixation, Zepto provides personalized capsulotomies tailored to the specific visual axis of individual patients to optimize outcome with premium as well as monofocal intraocular lenses. Zepto already has CE Mark and was launched commercially earlier this year in India and Germany. Mr. Hendrick said he expects the Zepto system to be available in the United States in August.